It's free, confidential, and safe. Security preview runs in your browser, and won't access your data, change any settings, or introduce malware. You might see alerts in your security system. We hope this preview is helpful. In order to get additional details, please provide us the following information. We will email you the full assessment, along with actions you can take to improve your security posture. 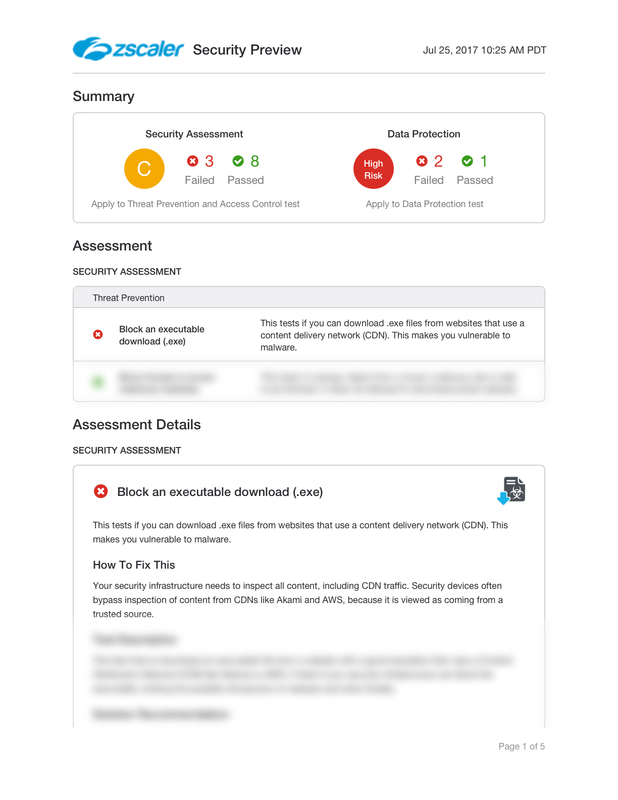 Your Zscaler Security Preview is on its way! If you do not receive it, check your spam folder or contact us at securitypreview@zscaler.com.. Please contact us at securitypreview@zscaler.com. What do you think of our test?